I’m thrilled to support my 150th client, Southern California Grantmakers. Like my work with the Los Angeles Funders’ Collaborative, I’m helping out with SCG’s environmental funders group, another collaborative endeavor working on a complimentary set of issues in a larger geographic footprint. I’m planning and facilitating quarterly learning convenings, which have included Mapping the Environment to Identify Community Needs, Air Quality/Environmental Justice, the Impacts of the New Federal Administration and one on Green infrastructure & water sustainability. For each, anywhere from 20 to 40 funders have attended to learn more about the issues and deepen the impact of their philanthropy. 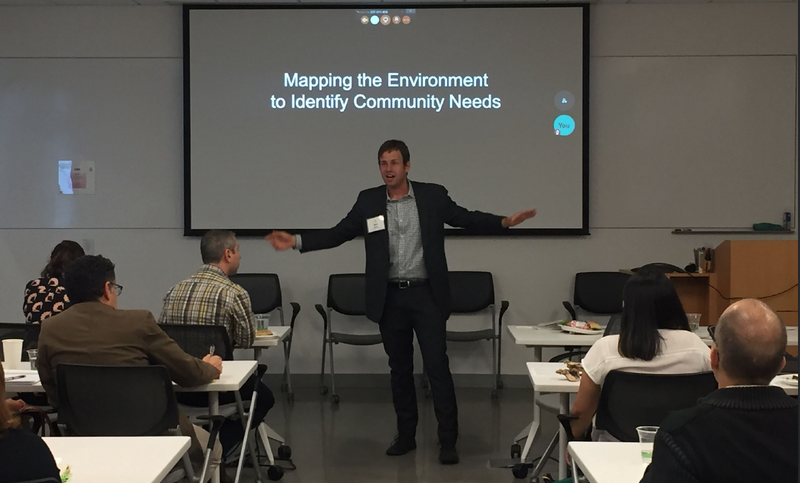 On October 26th, I attended Southern California Grantmakers’ Mapping the Environment to Identify Community Needs funder convening, marking my first official day as an Associate at Ron Milam Consulting. As someone who is passionate about developing equitable communities, I really enjoyed learning about how instrumental visuals, like maps, can be used to express data in compelling ways. They have the potential to tell a story about environmental challenges and opportunities in Southern California, rather than just stating facts. The event opened with a presentation from Jon Christensen from UCLA’s Institute of the Environment and Sustainability, followed by a Q&A panel with mapmakers Fernando Cazares and Maianna Voge. Christensen emphasized the significance of using maps and data alongside stories. Using historic and contemporary examples, Christensen illustrated the potential impacts maps can have, both positive and negative. As Christensen expressed, “Results that matter will not just be the map, but a new territory.” Voge acknowledged these implications and emphasized the importance of strategic communications to create the most influential map that demonstrate the specific needs of disadvantaged communities. To do so, people need to know their audience, point, and message. 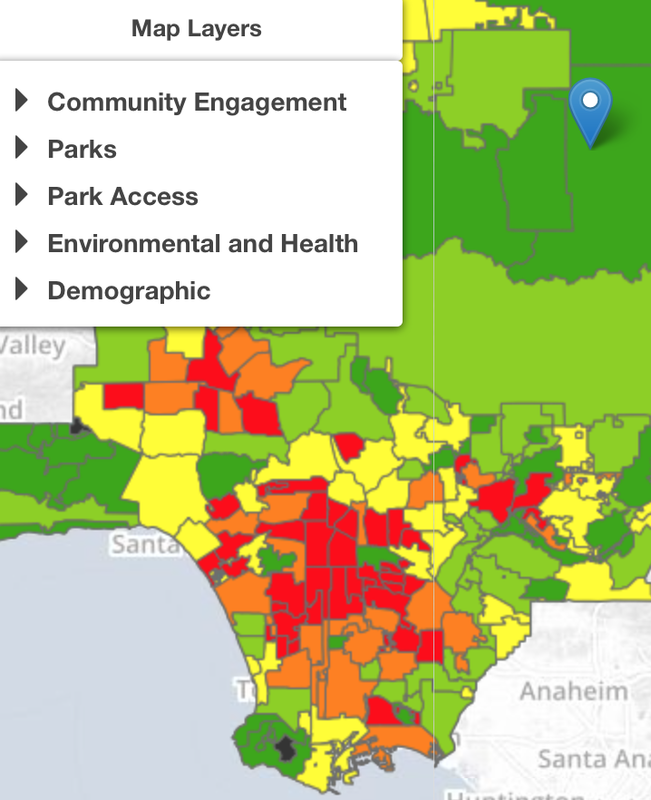 From racial segregation in housing to neighborhood air quality and proximity of parks and open space to the urban heat island effects, maps helped paint a holistic picture of prominent community issues by highlighting spatial relationships. Through these maps, my understanding of these issues increased as I could clearly see what areas were suffering from the greatest impacts. Attendees then split into four different groups focused on watershed health, open space and ecosystem preservation, air quality and the work of the LA Funders’ Collaborative, which focuses on smart growth. The groups not only explored ways funders can effectively allocate resources to these areas, but also to examined the intersectionality between the categories. 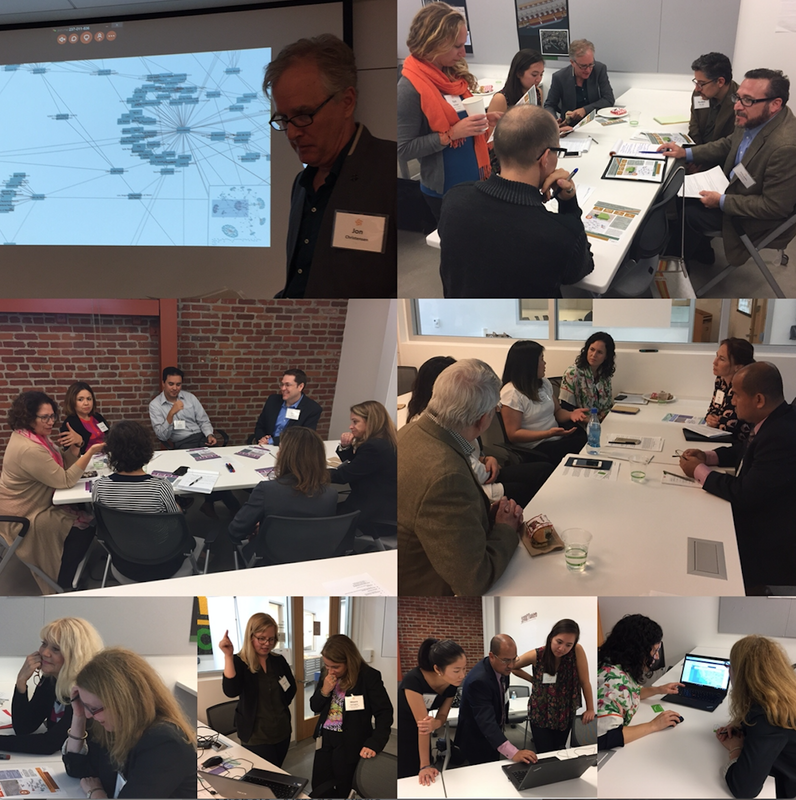 Approximately 25 members of the local philanthropic community participated in this breakout session, including the California Water Foundation, Roy and Patricia Disney Foundation, William C. Bannerman Foundation, and the Resources Legacy Fund. Each group reviewed a map created by the Foundation Center Mapping tool that summarized funding in the Los Angeles Metro Counties. Bea Solís, Director, Healthy Communities, South Region of The California Endowment helped close the session by stressing the significance of transparency and proper metric systems to analyze whether results truly addressed key issues. She challenged everyone to think about whether or not funders are really hitting the most need and to think of ways to ensure democracy works for all. I look forward to attending future events that foster this same breadth of collaboration for healthy communities. This entry was posted in Collaboration, My Clients and tagged Clients, Collaboration, Community, Facilitation, Leadership, Leadership Development, Sustainability, Training. Bookmark the permalink.